NT-ware USA is 10 Years Old!!! | Industry Analysts, Inc.
NT-ware USA is 10 Years Old!!! NT-ware is celebrating their 10th anniversary in the US! NT-ware opened their US offices in 2008 and have been moving forward ever since. 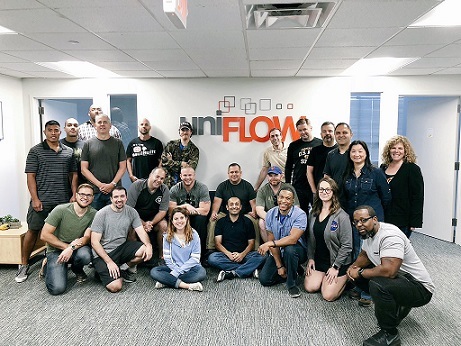 With more than 20,000 customers around the world, around 1,500,000 users, NT-ware’s uniFLOW portfolio has become one of the leading companies in this space. Originally founded as a small start-up, NT-ware now employs more than 150 people: at our headquarters in Bad Iburg, near Osnabrück, and in our branches in New York, Singapore and Tokyo. This entry was posted in NT-ware and tagged canon, NT-ware, uniFLOW by IA Staff. Bookmark the permalink.